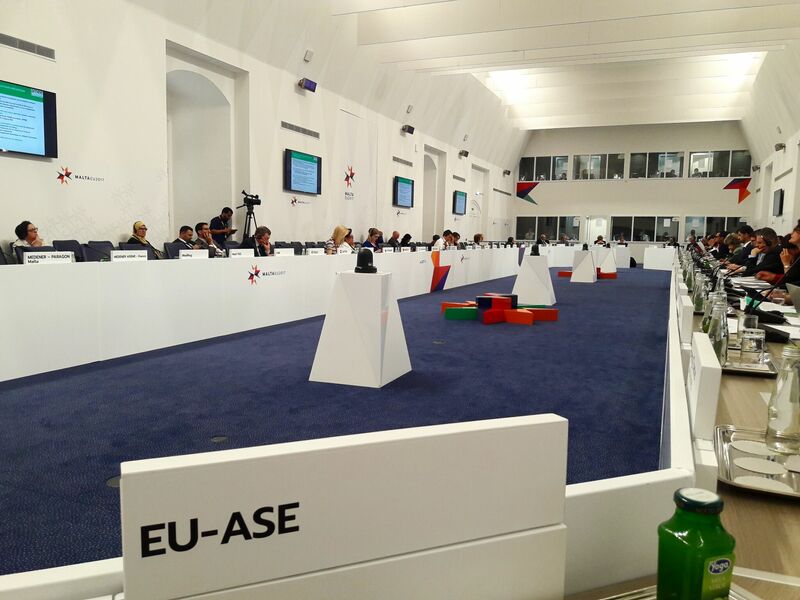 Valletta, 18 May 2017 — At the Informal Energy Council in Malta today, top executives of leading companies urged EU Energy Ministers to increase ambition on energy efficiency. Member States are currently discussing the European Commission’s proposals for a Clean Energy Package, which includes proposals for a binding EU energy efficiency target. At the opening session of the meeting, business representatives from the European Alliance to Save Energy (EU-ASE) urged Energy Ministers to keep the binding nature of the EU energy efficiency target for 2030, increase the level of ambition towards a 40% energy efficiency target and underpin it by dedicated policies and measures, without which an optimal framework for enhanced energy efficiency cannot be created. They also expressed concern on the recent proposals aiming at further weakening binding provisions aimed at achieving 1,5% saving annually among end-users (art.7), which would have very important consequences in terms of increased gas imports and costs for households. While presenting cost-effective investments in energy efficiency, senior business representatives from Danfoss, Knauf Insulation, Philips Lighting, and Schneider Electric emphasised to Energy Ministers that the current revisions of the Energy Efficiency Directive (EED) and the Energy Performance of Buildings Directive (EPBD), both of which are included in the package, offer a unique opportunity to create a unique framework to drive economic market growth and job creation in the European Union. Energy Ministers were urged to carefully assess the social, political, economic and environmental potentials of key provisions in the directives under review.